We identified priority sites by completing a risk assessment of all derelict sites. This involved determining the likelihood and severity of the potential impact to communities, in terms of public safety, environment, and navigation. We then started work on each site by trying to contact owners and, where possible, working with them to ensure safe removal. The port authority has committed approximately $2 million over five years to the initiative. 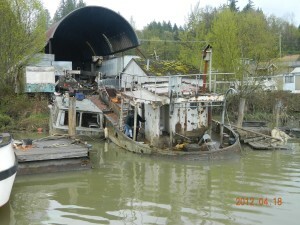 We recently cleaned up several sites along the Annacis Channel in New Westminster, including an abandoned catamaran and power boat that were embedded in the shore, causing considerable public concerns and creating the potential for environmental damage. We removed old piles at another site in Gunderson Slough in Delta, improving the intertidal marsh habitat in the area, as well as navigation and public safety. The program addressed 151 sites, and was completed in 2019. The dredging policy addresses the maintenance dredging of deep sea and domestic shipping channels in the Fraser River that support international and domestic trade, and the management of dredge materials. Dredging is an essential part of our long-term strategy to ensure the Fraser River can continue to support trade and meet Transport Canada’s safe navigation requirements. 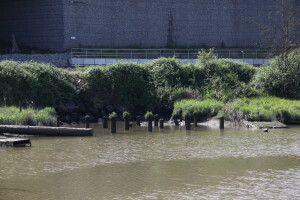 It involves the careful removal and disposal of sediment from clogged navigation channels to ensure vessels can safely transit to their destination. 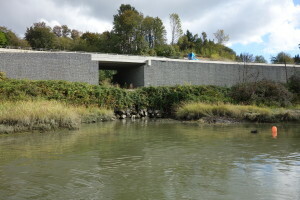 We launched the Local Channel Dredging Contribution Program in November 2009, the first port authority in Canada to provide funding contributions for local communities with waterways falling outside of the main domestic and international shipping channels. The 10-year program provides financial support for riverfront communities to undertake their own dredging activities beyond deep sea and domestic shipping channels. The program provides up to $7 million over 10 years for long-term, community-based dredging plans. River User Associations within eligible communities may apply for funding contributions up to a maximum of $500,000 per local channel over a 10-year period. In order to take advantage of the funding available through the program, we encourage communities to organize themselves early to determine their needs and develop an application for funding. 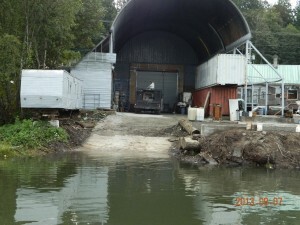 We will continue to provide guidance to communities mobilizing toward sustainable dredging plans for their areas and encourage River User Associations who have already formed and need funding design, engineering, application development and sampling/testing to apply for advance funding using the form below. 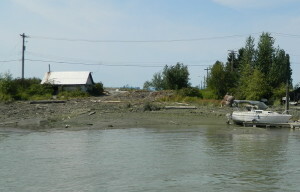 In March 2015, the Vancouver Fraser Port Authority, the federal Department of Fisheries and Oceans, the British Columbia Ministry of Transportation and Infrastructure, the Corporation of Delta, and the City of Richmond celebrated the completion of a $10-million collaboration to dredge the lower Fraser River in Ladner Harbour, Deas Slough, Sea Reach and Cannery Channel. 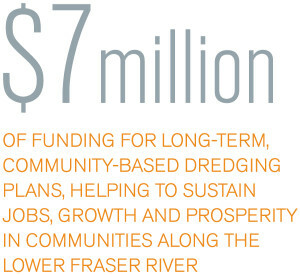 The program, launched in 2012 and led by Minister of Parliament Kerry-Lynne Findlay, Q.C., is important to the economic activity of the lower Fraser River because dredging helps sustain jobs, growth, and prosperity in those communities. 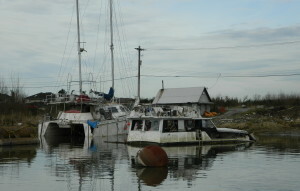 The funding partners would like to acknowledge the important contribution of the Ladner Sediment Group, Steveston Harbour -Authority, Steveston Village and float home and marina owners on the Fraser River.